Discount Business Card Magnets – 1000 business card magnets only $130! Business cards are very much here for last 4-5 decades and we all are familiar with it at office and homes. Today, as the times have changed and advertisers cannot afford to go offline even for a minute. The brand competition has intensified over the years and advertisers have to work hard to come up. They are always devising cost effective and brand effective promotional techniques to remain in competition. Discount business card magnets are one such options which is known to aid advertisers in distress. Ease of handling – This is the USP of business card magnet because you can just pit it against a refrigerator door or other metallic surface. This means you don’t need to get worried about their storage and management. At times you may need to just lean to the cubicle or walk to the refrigerator to see this information. Easy visibility- As said before business card magnet can easily show up against any surface and people can quickly access them. Business card magnets are typically developed in dimensions, which can easily show up against any surface. In this way the business information will be in front of customers eye at all times. Cheaper Promotional Tool- When it comes to advertising, many brands still believe that only traditional tools can offer them values. It is true to some extent, but the customer expectations are evolving and brands are finding it difficult to match their expectations. As a result the advertising trends are constantly evolving to keep in pace with changing market conditions. In market you will come across mainly two types of cost effective promotional tools :- lowest value – zero effect tools and lowest value- high impact promotional tools, business card magnets fall into the later league. You can straight away order 1000 business cards at $130 and make lots of savings without losing on the visibility or quality aspect. Freedom of expression – Business card magnets offer lots of room for expression and advertisers can best utilize it to gain instant attention. 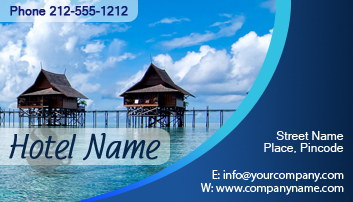 This magnet can be designed as a regular business card or its face value can be improved by imprinting the regular date information or some other information of customer’s interest. In this way advertiser can choose to offer accessibility and visibility at one go. By now you might have understood discount business card magnets offers you best value for investment and brings you desired attention at zero effort. We wish you a happy time with this business card magnet!